What’s Your Favorite Sewing Book? As I was standing at my book shelf filled with sewing and quilting books looking for inspiration for this blog, I spotted the first sewing book that I bought while in college, “The Vogue Sewing Book.” On a shoestring budget, this book in the early 70s carried a price tag of around $20, that was a big expenditure for me! Paging though the techniques, brought back great memories and recollections of all the times that I have referenced this book—then and now. I spotted an underlined section under the Concealed Plackets technique. I can just see in my mind’s eye the blouse that I made with that tip! The photos are very telling of the era. This flashback, prompted me to ask, “What’s Your Favorite Sewing or Quilting Book?” Post your book choice below and tell me why it’s your favorite! I’m always on the search for inspiration and ideas. When I first got my serger I bought the Palmer/Plestch “Sewing with Sergers” It was invaluable to me. I took the Bishop Method of sewing in the ’60′s and I still follow the same book when I have to refer to it. The Bishop Method book is an easy step-by-step book to follow. I like your book Nancy—Sewing A-Z! I have referenced it many times and showed it to a friend who was having trouble using her Ruffler. The pics were great, she understood and ordered herself your book! I taught myself to sew on a treadle machine about 50 years ago and have been going strong ever since. I believe in the learning by doing and would buy a pattern and just read the directions and interpret the drawing and most things would come out the way they supposed to. Your book Fitting Finesse is one of my favorites for fitting and altering a pattern to get the best fit. I think the thing that most people don’t realize is that even though patterns are bought by bust size, the art to a good fit is making sure that the pattern fits the shoulders first then alter to fit the bust. For practical tips, I like several books in the Singer Sewing Reference Library. For just plain cuteness/adorable factor, the Mary Frances Sewing Book, or Adventures with the Thimble People by Jane Eayre Fryer (an antique book). My favorite book year in and year out has been Complete Guide to Quilting by Audrey Heard and Beverly Pryor, published in 1974 by Creative Home Library. Wonderful reference–beautifully written and illustrated. Right now my MOST favorite books/DVDs are Nancy’s “Fancifootworks 1 & 2″. I inherited much of my grandmothers’ sewing stuff. I found feet (from far back) that I had no clue what they were used for. I am happy to now “put a name with the foot” and how to use them. Although, I am not sure if they can be used with modern machines. I have now able to purchase feet for my purposes. I am a visual person. I am greatful for the DVDs that accompany the books. Watching exactly how the feet are used & with what type of material. I do have so many other hard bound books that it is hard for me to claim a specific other one. I also do some researching on the internet. Recently I rolled-hem, on my serger, a chiffon dress for a teen’s dance. How intimidating that was for me. far back to recall a favorite book. But from the start of my sewing experience, I craved for all the help and information I could soak up in my 13 year old mind. I would go to the library and read everything I could find on “How to…!” Sewing is my passion being a piece of clothing, a quilt or home deco. I sometimes wish I would have had a special book on my shelf to refer too, when I have a problem, however I still rely heavily on my public library. Sewing A to Z is my recent favorite. I also am enjoying Egg Money Quilts by Eleanor Burns and Grandmother’s Hope Chest by Martha Pullen. Better Homes and Gardens Complete Guide to Quilting. Great pictures, tutorials, and techniques. The 1972 edition of The Singer Sewing Book – everything from the basics to tailoring and also includes drapery construction and upholstery. Excellent reference yet today. The first sewing book I bought was Ann Person’s “Stretch and Sew Sewing Book” and then I discovered you on “Sewing with Nancy” on PBS and bought numerous booklets you offered and then some of your books. The styles may be a little outdated on the earlier books but the techniques are timeless. My current favorites are Sewing School and Sewing School 2. My 6 year old granddaughter is learning to sew. The first book is an excellent introduction to hand sewing. The second is an introduction to machine. My granddaughter has been sewing up a storm, by hand, ever since she got the first book for her birthday in June. She is getting the second book and her first sewing machine for Christmas. She will be very surprised. These books are an excellent reference and easy to read for a younger child who is interested in sewing. My granddaughter has needed minimal adult supervision using Sewing School. I just got Sandra Betzina’s power sewing book. I like it because it had a few things I could not find elsewhere….like how to make a half-elastic waistband in a skirt (back only elastic). I am struggling to name one book that is a favourite. I used Susan Khalje’s Bridal Couture when I made my daughter’s wedding dress and it was invaluable. I feel very privileged to own a few couture books which target different techniques and have used Power Sewing for a number of techniques. How fortunate we are to live in a time where this information is readily available. I enjoy the internet but nothing beats a real book that you can feel, touch and enjoy! I agree it is awesome the books we have are easier and handier than internet. I have always found “Manipulating Fabric”, by Colette Wolff to be inspiring. I guess that others feel the same way, because it often pops up on bestseller lists (of a crafty kind) years after its publication! I also like the Vogue Sewing Book. I have used it many times for refreshing my mind about a particular technique that I only use once in a while. I love the Sewing A to Z because it had been many years since I sewed clothes and I have used that book over and over. My favorite is the section on gathering and you have a zigzag idea in there. I use it all the time and it makes gathering less painful. I first learned to sew from my grandmother, and I learned many of the basic of sewing from THe Better Homes and Gardens Book. I have that exact Vogue book and while the pictures date the book as 70′s the techniques are timeless. Back in the 60′s I bought a singer sewing book and some fabric at the JC PEnny store…they sold fabric and notions…I lost the book or gave it away.. but remember making my first maternity outfit with that book and fabric. Though I use the Net more and more, there is something about holding a book, and having it for quick reference. My favorite is my old Singer Sewing from the 1980′s and Nancy’s Pattern Fitting with Confidence. I never knew about “right sizing” before reading that book. Just goes to show you’re never too old to learn. The only book I’ve ever used was loaned to me by a friend to make my first quilt – I believe it was Eleanor Burn’s Quilt in a Day. It sure make my first quilting experience very enjoyable. After reading about all the great books above, I’m headed to check some of them out! Wow that is tough… My first book was my grandmother’s hand-me-down Better Homes & Garden Sewing Book. I found a set of coutoure instruction books, set of six, at the estate sale of a local seamstress who sewed for Hollywood, best hints in her handwriting inside! I have spent hours planning quilts in 501 Quilt Squares, which sadly was left on a table outside in the rain and is not with us any longer. Now I have lots of books, but the internet is my library! The Needlework Book, published in 1969, is one of my favorite books. In the early 70′s I did a lot of embroidery, crochet and knitting. That book was priceless to me. It was given to me in 1975 by my beloved husband who encouraged my love of hand work. Now I’m into quilting, but I still love looking at that book! I’ve got two that are the most used-Harriet Hardgrave’s machine quilting book and your 10-20-30 minutes to sew. Since I don’t always have time to quilt regularly, Harriet’s book has my notes from taking her class and I refer to it a couple of times a year to be sure. Your book I’ve used because I rarely have 30 minutes to do anything-I’ve actually used the principles in that book for almost all of my crafting projects. I can’t pick just one anymore. I love the A-Z of Quilting but I love Fons and Porter books. Then there are the Sashing and Border Books. I can’t live without the Singer sets because they still have lots of useful info. I have your books to remind me how to use my Serger each time I pull it out. First Book, that was too long ago but I bet it was a BHG. We used the library in those days and rarely bought books, just took notes. Who ever said they were good old days? Hi, My Mum taught me to sew in the late 50′s early 60′s, we had no books. I now have many books and love and read all of them. They are all my favourites at different times it depends what I am sewing. Some are useful some are just for looking and dreaming. I have an extensive collection of books on sewing, knitting, serging, embroidery and quilting and I love them all. I find that I turn most often to my collection of Singer books form the late 70′s and 80′s. They have information on everything from home dec, costumes, lingerie to tailoring. Great illustrations, too. A-Z I learned to sew watching you Nancy, in the very early 80′s, how thrilled I was to see technique that my own mother, a fabulous sewer, could not show me over the phone. She is my mentor but you are equally so because I could see you and see the projects you were teaching, it created success and creativity and gave me the confidence that yes! I can do it! Hi Nancy, like a lot of ladies my Mum taught me to sew in the late fifties early sixties. There were no sewing books that I knew of then and probably would not have had the money to buy them. My Mums sister was also a sewer (I think most women were then) and they taught me everything. I have made up for it now and have heaps of books which I read a lot. I love my books. My favourites are all of them. My first was Coats and Clark. I, too, vote for Vogue Sewing. However, I am using google and U-tube more often as I sew with my Daughters and daughter-in-law. I never made Roman Shades before, but U-tube to the rescue! I still prefer paper in my hands. My mother, an excellent seamstress, taught me to sew. If I had a problem, I went to her. I do not recall having a favorite sewing book back in the day. Now I go to my Nancy Zieman “Sewing A to Z” as a reference for more up to date techniques and for time-saving tips. I am not saying this because this is Nancy’s blog. I believe it is written for a person who already possesses some knowledge of sewing, instead of the novice. Perhaps this I one of the reasons I like this book so much as I don’t have to wade through a whole lot of stuff I already know to find what I was looking for. Tips and techniques are presented in a simple, clear, concise manner. The other reference books I use often are Nancy’s “Fancy Footworks” and “Fancy Footworks II”. When I started sewing you basically used a general purpose foot for straight and zigzag stitches and a zipper foot, if you had one. I broke down and bought a fancy new sewing machine four years ago with all the bells and whistles (my first sewing machine purchase since 1970) and found I had more feet than I knew what to do with. The “Fancy Footworks” workbooks have been invaluable in introducing me to all the different feet and their use. On a final note, I have to include my Operation Manual that came with my fancy new machine as an often used reference.as I am still learning all the features available on my “computer that sews”. I love you’re “Fitting with Confidence” book and have a near perfect sloper bodice. Recently, I borrowed “Sewing Secrets from the Fashion Industry” from the library and learned so much that I had to purchase a used copy on-line. A great resource for my collection. I bought the Reader’s Digest sewing book for $2 used. I love that book! It has been a great resource for me. I also found the Vogue sewing book that you have at a used bookstore. When I found it, I remember being so excited about finding it. I was gifted “Coats & Clark’s Sewing Book”, 1967, a year after I graduated from high school in 1966, & I used it all the time. Back then even if one had the money, sewing books were hard to find. Now I have made up for that, as I have tons of sewing, crafts, & crochet books. I love all of your books Nancy, & have many of them. But most of all I love all your sewing shows on P.B.S. When you first came on, I then lived in Seattle, & so enjoyed you. But a year later we moved to a rural area where we were lucky to have a 2 party phone line, & 3 T.V. stations but no P.B.S. So now, years later, & thanks for Dish TV, I spend my time watching you & others, teach all kinds of sewing & crafts. It’s just nice not to have t to go BUY ready made STUFF. I like not seeing myself coming down the street. I reference Reader’s Digest “Complete Guide to Sewing” and Simplicity Sewing Book frequently. I’ve found that the old sewing books are good references even if the styles are out of date. I LOVE “how to books” anyway and still can’t resist one at the thrift store, used book store, flea market or yard sale. Who knows they may have a tip or technique I might need to try! While perusing a local used book store…I came upon a 1982 edition of Vogue Sewing….it is very easy to understand. I also have several of Nancy’s books, from which I have learned many useful sewing techniques. My favorite is Martha Stewarts Encyclopedia of Sewing. It is a really well designed all encompassing guide to all sorts of projects from quilting to fabric dyeing and so much more. It demonstrates techniques at their core and then gives examples of projects that you can complete or modify to your liking. It also comes with a cd that has patterns for all the projects. A really well designed all encompassing resource to create! My favorite sewing book is the “Readers Digest Complete Guide to Sewing”. Even though I have been sewing for a long time, occasionally I need to refresh my memory on how to do something. This book is my go to book. I have accumulated several books as I think I’m becoming obsessed with sewing books. I have Singers The complete photo guide to sewing, Gertie’s new book for Better Sewing and most recently the Vogue’s Sewing revised and updated. These books are all very good and inspiring but I keep going back to Pattern Fitting with Confidence by Nancy Zieman. I find this book easier to follow. I’ve never had a sewing book, but I do have a notebook I started in high school with notes from Home Ec. and clippings from magazines and newspapers. I also have notes from projects I’ve made with what worked out and what didn’t. I do have several quilting books, my favorite is Better Home and Gardens “Complete Guide to Quilting”. I bought and used the Vogue Sewing Book, too! It has always been one of my favorites. I remember that it was expensive and how upset I got when I discovered that our puppy had chewed the binding! I teach sewing in a high school and have an assortment of books, all of which I love! Better Homes & Gardens Sewing Book.\ which I purchased in the 60′s. I learned how to sew in 4-H at age 7 or 8, and growing up my long legs were about 1.5 inches too long for pants so I fitted a pattern using the BH & G book and have been sewing now for over 50 years. I have used the Vogue Sewing book that you have mentioned. I have also used the McCalls Needlecraft book. It has directions for making curtains, knitting, crochet, and other needlecrafts. It is like a bible that I have used for over 50 years! My favorite sewing book is Simplicity’s Simply the Best Sewing Book. Of course, I know everything that is in it, but my goal in life is to give everyone who shows the desire to sew, a sewing machine and that Simplicity sewing book. I buy machines at garage sales and oil them up and pass them on. Of course, you NEVER see that simplicity sewing book at garage sales because no one wants to part with it. It is really good. “Simply Sublime Bags” by Jodi Kahn is the first sewing book I checked out of the library after I started learning to sew this past January. I’ve since checked out a bunch, read many and purchased a few, but this one remains a sentimental favorite because it opened my eyes to how much I could do if I applied myself and really learned some basic techniques — and let my imagination run free. When I first learned to sew, I didn’t have a book. I just bought a pattern and began. The pattern helped some but if I didn’t understand, I just figured it out on my own and ended up making all my clothes in high school. Now I own one book that I love. 10-20-30 Minutes to Sew. Ultimate Sewing Bible by Marie Clayton was my first sewing book and I keep by my sewing desk and still refer to it when I have a brain freezing day, which can be often after a long day of work. I also refresh my memory of the recorded shows I have of you Nancy, which I refuse to let anyone erase from the DVR box. My favorite book is Jackets for Real People which I do not currently own, but hope to someday. The local library has many sewing books. My favorite is my 1949 Singer Sewing Book by Mary Brooks Picken. Because I do most of my sewing on a 1921 Singer 66-1 treadle (I prefer to sew slowly, taking my time and really enjoying the experience of creation) I find this book a treasure. When I’m sewing on my electric machine then my SWN library is my resource of choice. I have a lot of sewing books, vintage and new. The book I grab the most often is your “Quilt With Confidence.” I can never remember how wide to cut binding or how to miter corners. “The Stretch and Sew Sewing Book” by Ann Person. i was lucky enough to have gone through classes using that book but made it more special I and my mother-in-law(she was more like my mother) took the classes with me. I, too, love the Vogue Sewing Book. Another favorite is Design Your Own Dress Patterns by Adele Margolis. I checked both of them out of the library many times before I finally purchased them. Design Your Own Dress Patterns gave me the confidence to move darts, change collars and sleeves, add flair to skirts, etc. A more recent favorite is Fine Machine Sewing by Carol Ahles, a how-to for ‘perfect’ machine stitching for construction and decoration. I have acquired well over 100 books on hand and machine embroidery and sewing so picking a favorite is difficult but these three stand out. The Better Homes and Gardens sewing book is all I have ever had. Published in 1961( I have the 1970 edition). I can’t remember where it came from, but it has been my bible until I recently purchased several Sewing With Nancy books. I like to reference the Kansas State University Extension Sewing booklets from 4H back in the 70s. They explain everything so clearly. My first sewing book was the Vogue Sewing Book. While sewed very little before getting married, my husband made a deal that I couldn’t pass up and that was I could take sewing classes at the college he was attending and he would buy me a machine. That was how I really got hooked on sewing. I made my maternity clothes, the babies clothes, and it went on from there. He bought me the Vogue Sewing Book for Christmas in 1973 and I still have it. The pages are yellow but it is a good book. Your book on fitting. Sorry, I’m not where I can go check the title right now. I call it Nancy’s fitting book. I have used & referred back to it while my children were growing up & for myself. If I sew for my daughter, I always have to alter the pattern or buy several from a 6 to a 10, so this book has been well used. Thanks! I also have the Vogue Sewing Book and have used it often, but my favorite one is Dianne Durand’s Complete Book of Smocking. I used to check a copy of this from the library every chance I could. One year my husband gave me a autographed copy he had bought for my birthday. Don’t smock much any more but the book is still very special to me. I also bought the Vogue Sewing book in the early 70s. It’s still my favorite. My first sewing book was Sew Smart by Judy Lawrence and Clotilde Yurisk. Then Sewing Express, A-Z and found Rotatory Magic at a garage sale. Also have lots of smaller booklets. I really don’t have a favorite book ,I have so many books from garment sewing to quilting. I feel each book brings me the knowledge at the moment I need it. My favorite book is Pattern Fitting with Confidence by Nancy Zieman, but after reading about all these other books, I am going to be on the lookout for some of these “oldie but goodie” books. The Best of Sewing With Nancy c. 1993 is my favorite, and secondly is The Vogue Sewing Book. An unusual collection in my library is a 1928 edition of Dressmaking Made Easy by Laura Baldt. Ms. Baldt was a Professor of Household Arts, Teachers College, Columbia U.,NY. It is greatly illustrated & even has instructions for hand stitched bound button holes! Another illustration with caption “A tailor’s cushion can be made of muslin stuffed with rags”. I love all of these three great books from 1928 to 1970 to 1993. Nancy, my first sewing book was the The Vogue Sewing Book with a copyright of 1973. I was just 30 and it cost $15.95 — a lot of money for a family of 5 on $525 a month. My mother was all-things sewing for me until I moved out of town. I still have it — I don’t get rid of books, especially good ones. My favorite sewing book is anything written by Nancy Zieman, no I’m not trying to make points, I just really like the way her books are written. Of them, I really appreciate the 10,20,30 minutes to sew. I got that book when I was in the midst of raising 4 boys, working full time and going to college. I missed sewing, never thought I had enough time. That book helped me carve out some very needed sewing therapy. BTW I love Sandra Betzina books too, especially “Fabric Savy”. It helps me understand the properties of the fabric I am using. “The Stretch and Sew Sewing Book” by Ann Person, c. 1967. I have first and second editions. I used these extensively sewing clothing for myself and familly through the 70′s, and have recently gone back to an early pattern to make some t-shirt/tunics with a little added flair. My favourite book was the binder I purchased in the 80s containing all of Nancy Zieman’s sewing booklets. What memories that book invokes. I still have mine and although it is no longer my “bible,” I can’t seem to part with it. I think that book gave me my love for exactness is my sewing. It taught me that my garments didn’t have to look “homemade.” I must blame my Vogue book for the many, many books that have followed in my quest to learn “one more” technique or hint, including so many of yours. Thanks. Like you, I took a deep breath and felt very blessed to have a copy of the Vogue Sewing Book on my shelf–it’s still there, and I still use it! Besides the basic Vogue book my go to reference now is Google search. A large collection of books, booklets, magazines and videotapes and discs followed being introduced to sewing by a wonderful Home Economics teacher. Favorites include publications and tapes from Nancy. We all owe Nancy a huge THANK YOU. Honestly it’s hard to pick just one, but Vogue is consistantly my go to choice. Now google is a quick go to choice. Not a book, but great index reference choice. 10-20-30 Minutes to Sew by Nancy Zieman (my favorite sewing show!) which I won a few years ago when I sent a tip that you used on the Viewer’s Tip section of your show. I’ve always sewed in ‘pieces’ of time since I don’t have a room that I can set up in and work till I’m done. I use the book often. I like Gertie’s New Book For Better Sewing. She has a lot of tips and tricks that are explained really well and great diagrams and pictures. I like learning vintage techniques too. Simplicity Sewing Book (1969) was my first sewing book and is taped together. 10-20-30 Minutes to Quilt (?) and books by Georgia Bonesteel for quilting which came much later but greatly enjoyed. I enjoy your programs on PBS which are inspirations for me. Thank you. The first books that comes to mind are my Viking Accessories Guide and the Viking Foot Book. I love how much using the different feet have helped me simplify and improve my sewing projects. It’s a totally different expefience from when I started! I started sewing early, growing up with a gifted mother who could do ANYTHING with a needle or machine. I turned to her with all questions. Later as I began to enjoy quiltmaking, I think my favorite book has been Pieced Borders, by Martin & McCloskey. It inspires me and helps me design one-of-a-kind quilts. One of my favorites is 10, 20, 30 minutes to sew by Nancy Zieman. It taught me that I didn’t have to have an entire half day to get any sewing accomplished. That if I divided my project into short manageable steps and just accomplished one step, that was closer to being finished than I was before. Thank you Nancy. Mine is a Palmer and Pletsch, “Easy, Easier, Easiest Tailoring”. I have a few Rodal books I have picked up at yard sales here and there. Mainly I go to the library and look thru their selections for what I need. Thanks for the giveaway. I spent decades sewing garments for myself and using tips and tricks to shorten time and make my sewing more simple. After the birth of my granddaughter, I decided to learn to smock. That is when I discovered A to Z’s of Sewing for Smockers. This book turned my sewing world upside by slowing me down and getting me to enjoy the fine hand sewing techniques that turn an item into an heirloom. Don’t sew per se, just quilt, but I, too, have a Bible – a go to book for answers. It is “The Joy of Quilting” by Joan Hanson & Mary Hickey. 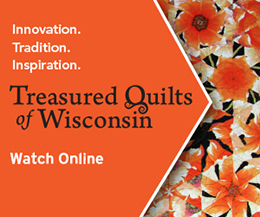 Has just about anything you want to know about quilting. I agree that the Vogue Sewing Book is very helpful. My favorite currently, though, is SEWING SECRETS FROM THE FASHION INDUSTRY, Edited by Susan Huxley. I have picked up useful information I never saw elsewhere. Reading everyone’s comments brought back wonderful memories. I started garment sewing at 7 years old. Because of arthritis, I cannot do much garment sewing anymore, but I loved the books, especially the Vogue Sewing Book. Just recently I met ..”a young me”… who could not afford supplies and books. So I packed up my specialty fabrics, and my garment sewing and design books, and gave them to her. She was overwhelmed, but her favorite one?…the Vogue Sewing Book! I took a class in 1980′s in quilting. The Book we used was Learning to Quilt A beginners’s Guide published by Leisure Arts. It taught block by block, marking, cutting pattern pieces, hand quilting, cutting, bias, straight of grain, triangles, applique, curved piecing, pressing. All of it was done by hand even the quilting. It took me two years to finish the quilt but it is my prized possession. I have done machine quilting since then but it taught me everything about women quilters of old and I can do work by hand if I chose. It is the oldest book in my collection. The Singer Sewing Book, the Complete Guide to Sewing, 1969, was one of my first sewing reference books, and has remained so to this day. I have added Claire Shaeffer’s High Fashion Designs and just about all of Nancy Zieman’s “Confidence” books to my reference shelf. I use all of these reference books when I need to explain a technique to my students. But, the “Confidence” books are by far the easiest to read, understand, and use for explanations. Thank you, Nancy and your staff, for such great resources. I can honestly say that I’ve never used a sewing book! My mother and her twin sister are incredible seamstresses. Now at age 95 they’ve taken a break, but the knowledge is still there. I learned to sew as a child and ran the treadle machine (yes) needle over my fingers more than once. I’m finally getting back to sewing and my first two books are yours Nancy…I am a silk dyer and will use your scarf books until they fall apart. Because my main focus since 87′ has been quilting I have to say my best reference has been Quilter’s Complete Guide has been my go to book. I have so many sewing books; where would I start? I seem to be as addicted to sewing books as much as I am to stashing and sewing itself! I must say, I really love the Nancy books.. and also Threads Sewing Guide as one of my favorites. But really, with all I own, it’s like trying to decide which one of your kids or which of your dogs is your favorite. I love them all. My favorite out of hundreds is the one I just bought…Claire Shaeffer’s book with the DVD on making a chanel jacket. It is almost dog eared. My favorite sewing book is: “Sewing With Confidence” by none other than YOU- Nancy. I’m a beginner (not brand new novice). I also have your 10-20-30 minute Sew For Home. The first (as all of your books) are very well written, NON-intimidating, easy to understand. Once you start reading it, it’s hard to put down. You give us (me) confidence to tackle areas that I’ve been avoiding, but need to step up to. THANK YOU. I don’t have a favorite book; I learned in home economic’s at the time also from my sister’s. My favorite place of information is the computer right now. My favorite sewing book is the Singer Sewing Series for Home and Fashion. It is a binder style book where all of the inserts were purchased one at a time from the grocery store, back in the day. My mom has one just like it, and I had found mine at a garage sale. I used it to make pleated sheers for my first home. I love the retro design of the book itself, and it reminds me of how proud I was one my first home dec project. I have the Vogue sewing book but the one that is literally falling apart is Mother Pletsch’s Painless Sewing! I use it over and over. If I’m looking for inspiration I pick up Easy Style or Sewing the New Classics from Sterling and Lark Publishers. Thanks for asking! What a great excuse to go back and bask in my sewing library! Well it was my first sewing book because it taught me to sew 1 project @ a time. It’s Stitch by Stitch by Deborah Moebes. I learned a lot form this book and I got the confidence I needed to take on projcts on my own. I got my husband to let me take our tax return money to buy a Brother Inovis 40 machine (it’s Pink my favorite) and now I have a whole new passion. I am even thinking about going back to school to learn more so I can make sewing my career. Sewing has released my inner child. Thank you Nancy for your shows on PBS. I always looked forward to your show. became my go to help. 20 years later I invested in Vogue’s Sewing and that travel with me when I go to my daughters for sewing week-ends even when I travel on the train. I have also added a book called Sewing A to Z and that is always on my sewing table for quick reference. Now I wonder who wrote that book? My first book was Better Homes and Gardens Sewing Book. Since then, I have accumulated many updated books that I use for reference. Fabric Savy by Sandra Betzina is my go to book for what needle, stitch length and type, and uses of different fabrics. Arranged alphabetically by fabric, the book is filled with great pictures of clothing made with the various fabrics and it is spiral bound so it lays flat. I go to this book more often than any other for fashion sewing. I am with you Nancy. I remembered how thrilled I was when I was given Vogue Sewing for Christmas one year. It has all of the techniques for excellent results! My favorite sewing book is the same as yours, The Vogue Sewing Book. My grandmother gave it to me on my birthday when I was first learning how to sew. I was thrilled beyond words when I got that book. My first sewing book actually was my Mother. She made her own patterns after looking at clothing in a store and then would make my clothes from the time I started school. After I got married I would call her if I could not figure my problem out. I have many sewing books and I to use them all. I find all the pamphlets, videos, and DVDs “Sewing With Nancy” has produced on the subject of KNITS to be the best. Yes, I have all the other books, but since I don’t use knits in my own clothing, but as gifts, give-aways to family and charities, I must refer to trusting sources before sewing. I have a pamphlet “Sew It Reversible” (long ago) to a DVD “Sewing With Knits,” and many in between. I like all of them! My first and favorite sewing book was a Singer Complete Guide to Sewing, purchased in 1959 at the same time I bought my very own Top of the line Singer sewing machine complete with all the bells and whistles. We had been married for one year and the sewing machine was my first anniversary gift along with the Danish Modern desk cabinet and sewing book. I made everything from kitchen curtains to baby clothes with that machine and my trusty sewing guide, and then passed it along to my daughter who in turn passed it along to her daughter. As a full-time RVer my go to “book” right now is http://www.Google.com. I have many reference books in storage but the internet is what I have to work with now. The great thing about looking on the internet is that you have access to utube which is so much better than a book as someone is showing & talking you thru a technique. Sometimes you have to look at more than 1 to figure out what they are doing. The book I’m using most right now is Perfect Plus by Kathleen Cheetham, and always, my sewing machine reference manual! Anything related to heirloom sewing! Precise and Professional by Lynn Weeks is probably my favorite go-to. As a young mother with 2 small children – 10 -20-30 Minutes to Sew “. Was my motivation to find the time to fit in sewing . Those principals still hold true , now I’m sewing for my first grandchild !!! The vogue sewing book was also one of my first “major” purcgases also & I can’t make a bound buttonhole without returning to it. I biught a second one recently for my granddaughter as I can’t yet part with the resource. I also use “my first quilt book” frequently. I, too, am a public library girl, but I have to say I’ve been giving a great deal of attention to the Singer series lately. Since my girls have been breaking my bankbook with dancewear, I have spent more than my fair share of turns checking out the one on sewing with knits, and the serger book! My favorite sewing book is the same as yours, Nancy. My mother purchased three that year. One for me, one for herself and one for a one of sisters who also sews. I am now teaching one of granddaughters to sew and I was thinking if I should give to her now or bequeath it to her when I am no longer with her help her with her creations. My favorite quilt book is “Quilt as You Go” by Sandra Millett. I purchase it in 1984 or for $20.00 as well. It is also a go to book when I am creating quilts, especially quilts larger that a twin bed size. My Mother-in-law gifted me with a set of Rodale sewing books. Each month a new one would arrive in the mail. I thoroughly enjoyed reading each and every one of them! It was a very thoughtful gift and a very treasured gift too! The book is great and used all the time. It is timeless. Ha! I have that Vogue Sewing Book! My tried and true reference from back in the day. I have to agree that Rotary Magic is one of my favorite quilting books. My first Elinor Burns quilting book. It was Trip Around The World. I made my baby daughter (who was born in 1982) a dark lavender and navy floral quilt and a matching quilt for her Cabbage Patch doll. You’re asking for a Favorite Sewing Book, honestly I cannot just pick one from my large collection from crafts, sewing, and quilting. At any given time on a project I will pull out an average of 5 books ,to pick just one is lost on me. Also along with my collection, each week I haul home books from the library, each having a great tip or future project to add to my list. Favorite Sewing Book? Hmmm …you should be asking the question have I found a book that is not a favorite. I don’t have one but many: Sew Smart -Clothilde, Busy Woman’s Fitting Book -Nancy Zieman (and she even signed it at an Expo once upon a time), Islander Sewing System, Couture The Art of Fine Sewing – Roberta Carr, several on fabric manipulation and pattern making. It depends on the topic as to which is my favorite. Rotary Magic by Nancy Johnson-Srebro. I had taken a beginners quilting class and my teacher said I would do well to buy this book but only if I read it cover to cover which I did. She not only tells you how to cut, piece,press and finish your project but how to do it accurately and the importance of being accurate. These lessons have stayed with me and it is the first book I will give my granddaughter when she is old enough to start to quilt with me. Thank you for your Blog Nancy, like you standing in front of your bookshelf to get inspiration I often read your Blog to get that same inspiration. A great pair of scissors is a great asset. Thanks! For making quilts, the book I always reach for first is from Rodale “The Classic American Quilt Collection: Quilting Made Easy.” It communicates the basics of quilting in a very clear manner with photographed illustrations. For sewing, I do not have a reference book that I really like. I’ve had my eye on the Dorling Kindersley The Complete Book of Sewing in hopes it would be good. Thank you. Looking forward to everyone’s answers. I love Martha Stewarts Encyclopedia of Sewing and Fabric Crafts! Great ideas and easy to read! The Vogue Sewing Book, Revised Edition (1973) remains my essential resource for when I can’t quite remember the correct technique. I have to agree Nancy. My favorite also is Vogue sewing book. I have been sewing for 53 years and inherited the book from my mom. There is really nothing like old school sewing merhods. A seamstress must know the basics. I was always taught the inside of a garment should look just as good as the outside. Quilts,quilts quilts. Was the first quilt book that answered all my questions and made me realize I could really make a quilt. This sewing book looks like a good learing how to sew guide to havw, I’m going to look for it locally. Thanks.